Starting sometime tomorrow and through the entire weekend why not grab yourself a book of really interesting poems and verse? 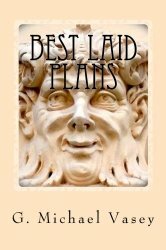 Put it in your plans to get a kindle copy of Best Laid Plans from any Amazon website this weekend – you can’t go wrong really – its FREE. The cover features a green man or Pan figure that is on the facade of the building just a few doors down from where I live. The entire street has similar decorations. Or try one of my other books of poetry…….